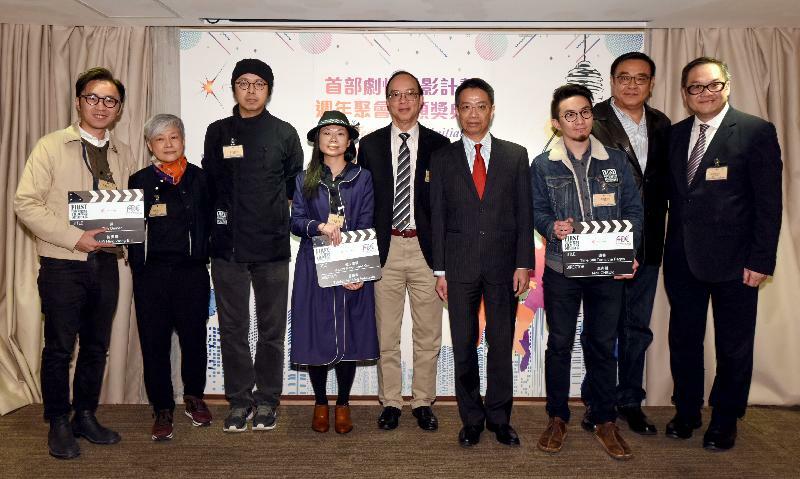 Create Hong Kong today (January 24) announced the winners of the 5th First Feature Film Initiative (FFFI). Three new directors and their production teams will receive funding from the Film Development Fund (FDF) to implement their winning film proposals and make their first commercial feature films. 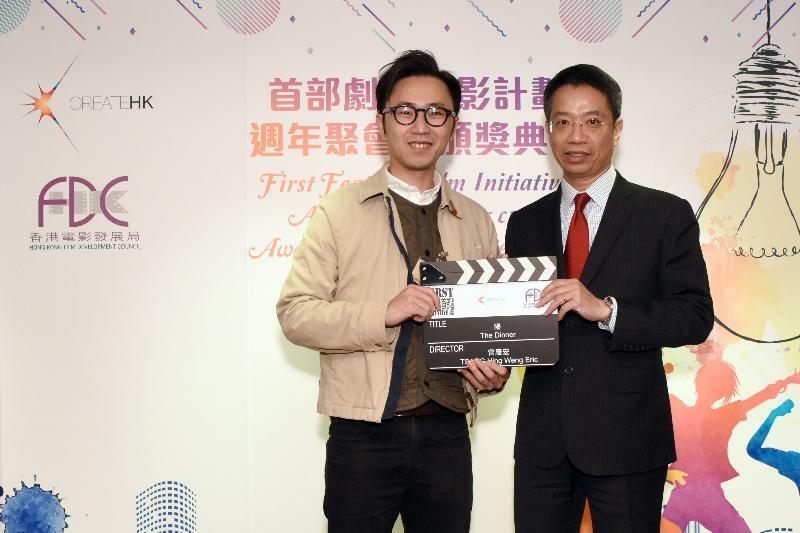 The Permanent Secretary for Commerce and Economic Development (Communications and Creative Industries), Mr Clement Leung, said at the award presentation ceremony that the FFFI aims to provide a platform for talented and enthusiastic young directors to develop and showcase their strengths. Since its launch in 2013, the FFFI has been a success in identifying talented young directors and producing a number of quality films. 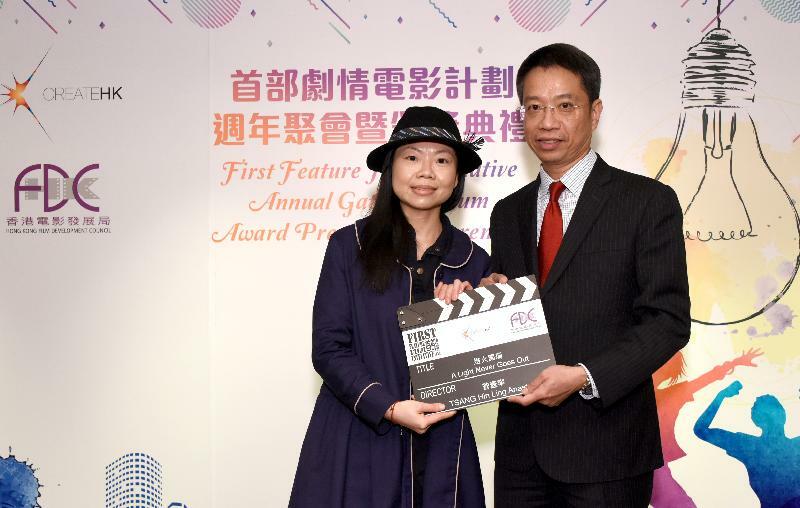 Mr Leung said the FFFI has identified over 10 new directors in five editions, and some of the implemented winning projects have received various awards. This shows that the new generation of film talent is full of creativity and the development prospects of the local film industry are still promising, he said. 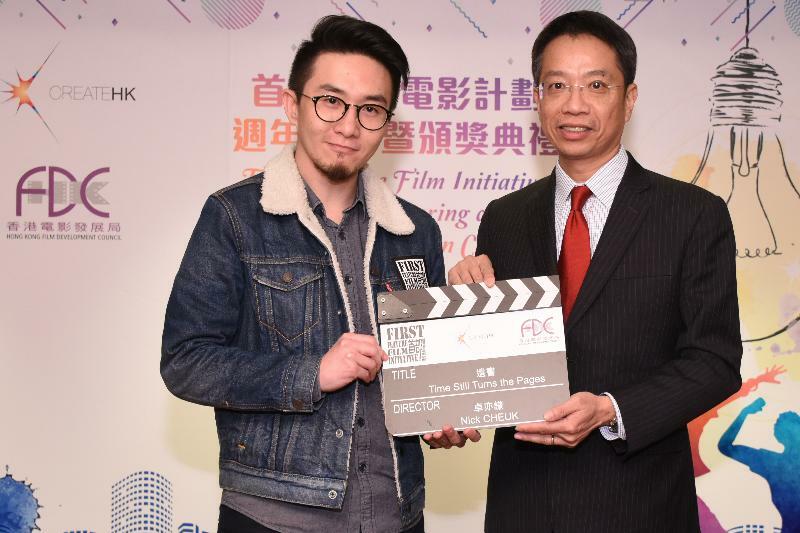 Mr Leung said he hoped that the FFFI would continue to fulfil its missions for grooming budding talent for the film industry and helping more young filmmakers realise their dreams. He also expressed gratitude for the continuous support from the film trade to nurture young film talent, which has gone a long way towards passing the baton to a new generation. In her 2018 Policy Address, the Chief Executive proposed to make a one-off injection of $1 billion into the FDF, which is close to double the total funding amount in the past decade, demonstrating that the current-term Government attaches great importance to the local film industry. Mr Leung said the Government has planned to introduce a series of new measures, should the injection be in place, in four key areas, namely nurturing talent, enhancing local production, market expansion and building the audience. He also said the Government will continue to work with the Hong Kong Film Development Council to support the film industry in Hong Kong on various fronts with a view to promoting its sustainable development. Film title: "A Light Never Goes Out"
Brief introduction: A story on how a widow finds the motivation to move on in the process of fulfilling the last wish of her deceased husband. Film title: "Time Still Turns the Pages"
Brief introduction: A story of how a suicidal 10-year-old student faces despair over his family and society. Brief introduction: A story of how three generations of a family in a Hakka walled village face the difficulties in their lives. The winning teams of the Higher Education Institution Group and the Professional Group will receive a maximum of $3.25 million and $5.5 million respectively from the FDF to produce their films. The winning teams are required to complete the whole film production and sales process, which involves planning, shooting and distribution, and provides ample opportunities for the teams to acquire practical knowledge in making a feature film along the way.